Welcome to the European edition of Fish4Flies. We specialises in providing the highest quality salmon and trout fishing flies for sale online, dispatched to Europe for just €4.10, or free on orders over €46.80. Popular Flies for France during April. 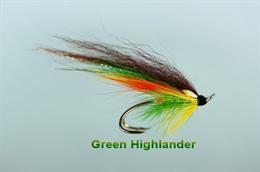 The Green Highlander was first recorded in 1885 and is one of the most famous classic patterns. 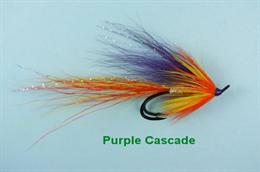 It is best used as a mid-summer fly and is especially good in fine weather and sunshine. 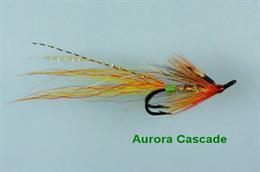 The Aurora Cascade is a good all rounder that is, effective in both clear and stained water. 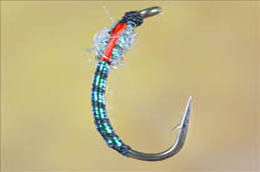 It is a variant of the classic Allys Cascade, and has been known to regularly out fish the classic. It has plenty of interesting, colourful movement and fishes well throughout the season; performs particularly well during spring and autumn. The Purple Cascade is another wonderful success story. Originally tied as a joke it has turned out to be a top fly. 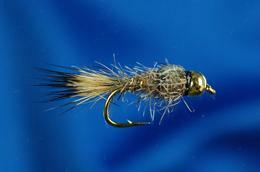 This fly has enjoyed astounding success everywhere and is now the top pattern on many beats and rivers. 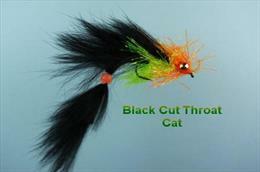 The Bunny Black Cut Throat is an excellent general purpose killer pattern. It has tantalizing movement that brings big trout to the net throughout the season on all types of still water as well as in the slower portions of rivers. 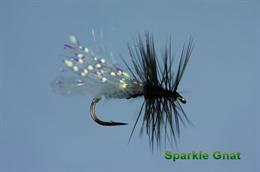 The Sparkle Gnat is a vibrant variant of the Black Gnat that has been very popular for well over 100 years. The naturals land on the water either after mating or are blown there, so the trout, young and old, are used to seeing this pattern float by. 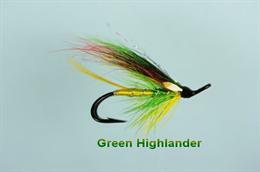 The Green Highlander is considered a mid-summer fly that is especially good in fine weather and sunshine. 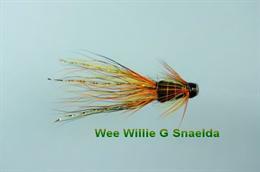 The Wee Willie G Snaelda is a variant of the classic Willie Gunn and is ideal when fishing in low water. 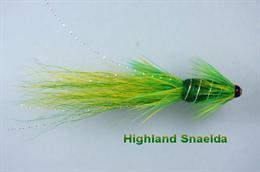 The Highland Snaelda on a copper tube is an outstanding success on river systems where salmon run. It is especially good in clear, cold water conditions. 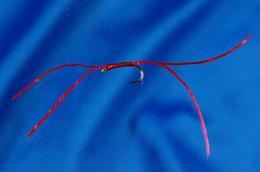 The Reflection Buzzer is a very popular and attractive pattern that is successful throughout the season. The reflective body often stimulates aggressive takes. 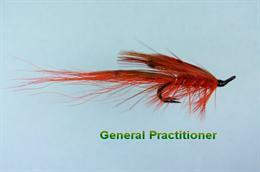 The General Practitioner has proved its effectiveness over many years, attaining a reputation as an ideal September and October salmon fly. It was created as an imitation of a shrimp and is a good performer in stained, murky rivers, especially after large spates.